Mounting LCD tape for Samsung Galaxy S6 Edge SM-G925F double-sided tape to mount the LCD screen to the phone Samsung Galaxy S6 Edge SM-G925F, very durable and strong adhesive which permanently precisely combine both elements. 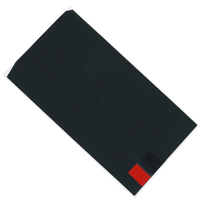 The advantage of adhesive tape off properties is the fact that the tape is either cut into precisely the size of your model, making it very easy to mount the LCD screen or frame which also gives guarantees restore the original connections of all elements in the phone. Mounting LCD tape for Samsung Galaxy S6 Edge+ SM-G928FZ double-sided tape to mount the LCD screen to the phone Samsung Galaxy S6 Edge+ SM-G928FZ, very durable and strong adhesive which permanently precisely combine both elements. The advantage of adhesive tape off properties is the fact that the tape is either cut into precisely the size of your model, making it very easy to mount the LCD screen or frame which also gives guarantees restore the original connections of all elements in the phone. 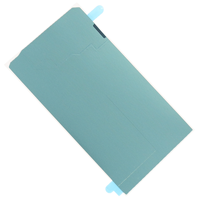 Mounting LCD tape for Samsung Galaxy S6 SMG920F double-sided tape to mount the LCD screen to the phone Samsung Galaxy S6 SM-G920F, very durable and strong adhesive which permanently precisely combine both elements. The advantage of adhesive tape off properties is the fact that the tape is either cut into precisely the size of your model, making it very easy to mount the LCD screen or frame which also gives guarantees restore the original connections of all elements in the phone. 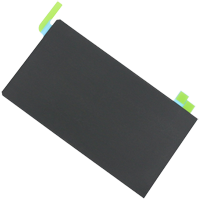 Mounting LCD tape for Samsung Galaxy S7 SM-G930 double-sided tape to mount the LCD screen to the phone Samsung Galaxy S7 SM-G930, very durable and strong adhesive which permanently precisely combine both elements. The advantage of adhesive tape off properties is the fact that the tape is either cut into precisely the size of your model, making it very easy to mount the LCD screen or frame which also gives guarantees restore the original connections of all elements in the phone. 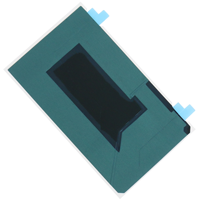 Mounting LCD tape for Samsung Galaxy S7 SM-G935 double-sided tape to mount the LCD screen to the phone Samsung Galaxy S7 SM-G935, very durable and strong adhesive which permanently precisely combine both elements. The advantage of adhesive tape off properties is the fact that the tape is either cut into precisely the size of your model, making it very easy to mount the LCD screen or frame which also gives guarantees restore the original connections of all elements in the phone. 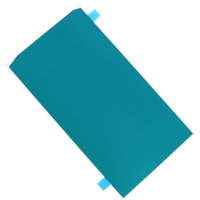 Mounting LCD tape for Samsung Galaxy A8 A800F double-sided tape to mount the LCD display of a very durable and strong adhesive which permanently precisely combine both elements. The advantage of adhesive tape off properties is the fact that the tape is either cut into precisely the size of your model, making it very easy to mount the LCD screen or frame which also gives guarantees restore the original connections of all elements in the phone. 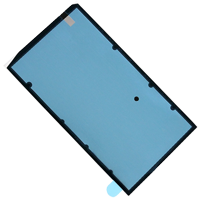 Mounting LCD tape for Samsung Galaxy A9 (2016) SM-A9000 double-sided tape to mount the LCD display of a very durable and strong adhesive which permanently precisely combine both elements. The advantage of adhesive tape off properties is the fact that the tape is either cut into precisely the size of your model, making it very easy to mount the LCD screen or frame which also gives guarantees restore the original connections of all elements in the phone. 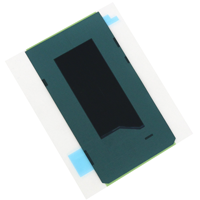 Mounting LCD tape for Samsung Galaxy J2 SM-J200F double-sided tape to mount the LCD display of a very durable and strong adhesive which permanently precisely combine both elements. The advantage of adhesive tape off properties is the fact that the tape is either cut into precisely the size of your model, making it very easy to mount the LCD screen or frame which also gives guarantees restore the original connections of all elements in the phone. Mounting LCD tape for Samsung Galaxy J5 SM-J500 double-sided tape to mount the LCD display of a very durable and strong adhesive which permanently precisely combine both elements. The advantage of adhesive tape off properties is the fact that the tape is either cut into precisely the size of your model, making it very easy to mount the LCD screen or frame which also gives guarantees restore the original connections of all elements in the phone. Mounting LCD tape for Samsung Galaxy J7 SM-J700 double-sided tape to mount the LCD display of a very durable and strong adhesive which permanently precisely combine both elements. The advantage of adhesive tape off properties is the fact that the tape is either cut into precisely the size of your model, making it very easy to mount the LCD screen or frame which also gives guarantees restore the original connections of all elements in the phone. 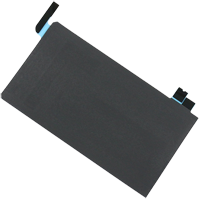 Mounting LCD tape for Samsung Galaxy S3 i9300, i9308 double-sided tape to mount the LCD display of a very durable and strong adhesive which permanently precisely combine both elements. The advantage of adhesive tape off properties is the fact that the tape is either cut into precisely the size of your model, making it very easy to mount the LCD screen or frame which also gives guarantees restore the original connections of all elements in the phone. 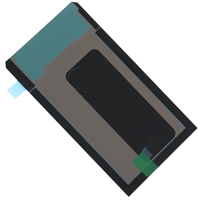 Mounting LCD tape for Samsung Galaxy S3 Mini GT-i8190, GT-I8190N double-sided tape to mount the LCD display of a very durable and strong adhesive which permanently precisely combine both elements. The advantage of adhesive tape off properties is the fact that the tape is either cut into precisely the size of your model, making it very easy to mount the LCD screen or frame which also gives guarantees restore the original connections of all elements in the phone. 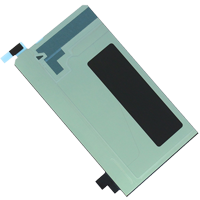 Mounting LCD tape for Samsung Galaxy S4 i9500, i9505 double-sided tape to mount the LCD display of a very durable and strong adhesive which permanently precisely combine both elements. The advantage of adhesive tape off properties is the fact that the tape is either cut into precisely the size of your model, making it very easy to mount the LCD screen or frame which also gives guarantees restore the original connections of all elements in the phone. 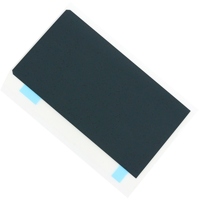 Mounting LCD tape for Samsung Galaxy S4 Mini GT-i9190 double-sided tape to mount the LCD display of a very durable and strong adhesive which permanently precisely combine both elements. The advantage of adhesive tape off properties is the fact that the tape is either cut into precisely the size of your model, making it very easy to mount the LCD screen or frame which also gives guarantees restore the original connections of all elements in the phone.